We continued our new tradition (started last year) of "adopting" a turkey from Farm Sanctuary. 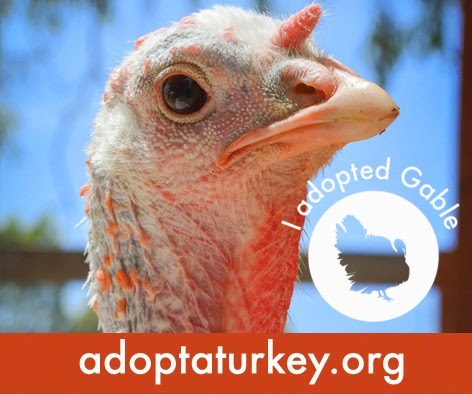 This is a picture of Gable, the turkey my boys chose to support at this fantastic farmed animal rescue. Wishing you and yours a love-filled holiday season!